5 Turner Alley featured the world premiere of American Gothic Suite, a new work from Red Cedar Chamber Music’s composer-in-residence, Andrew Earle Simpson. 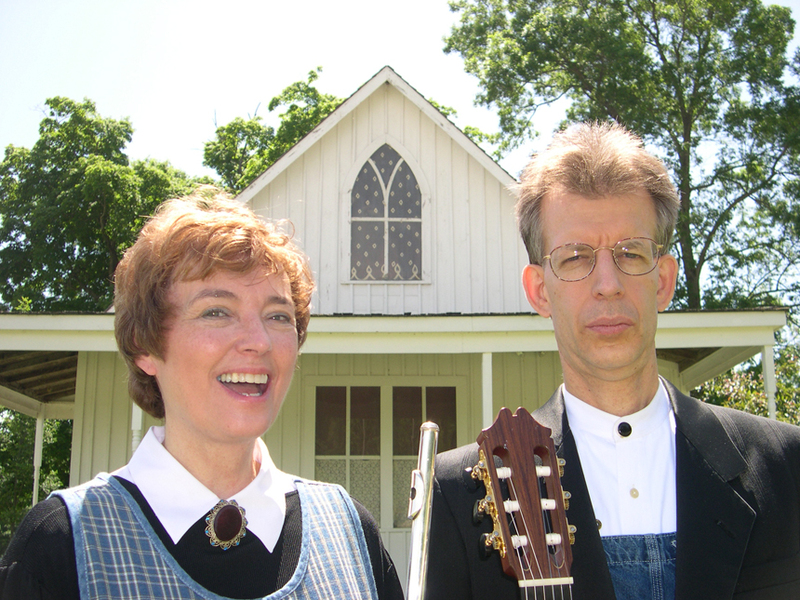 Red Cedar Trio artists, flutist Jan Boland, violist David Miller, and guitarist John Dowdall performed this rhythmic and entertaining work which celebrates the famous painting American Gothic by Iowa artist Grant Wood. The 5 Turner Alley project celebrated the newly renovated studio at 5 Turner Alley in Cedar Rapids, Iowa where Grant Wood painted American Gothic in 1920. This tiny Grant Wood Studio was the very special site of a concert preview attended by 20 lucky souls. The Cedar Rapids Museum of Art hosted the MainStage concert on June 4, 2005. This concert project also served as a prelude to the return of the famous painting to Cedar Rapids, where it served as the centerpiece of an exhibition called Grant Wood at 5 Turner Alley (Cedar Rapids Museum of Art: September – November 2005). 5 Turner Alley is really a concert celebrating American creativity. The art of Grant Wood communicates with a directness and simplicity that capture our imaginations and make American art known and loved throughout the world. Sponsors: 5 Turner Alley and the commission of American Gothic Suite were sponsored by the children of Joan Lipsky, in her honor, and presented in collaboration with the Cedar Rapids Museum of Art. It celebrated the generous contribution Joan has made to her community. Additional sponsorship support for 5 Turner Alley was provided by the Iowa Arts Council. A reception, hosted by Julie & Bill Taylor followed the concert in the Carnegie Wing of the museum. 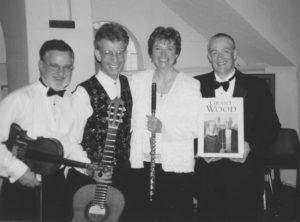 The Back Story: Composer Andrew Simpson visited Iowa in 2002; we took him to see the countryside south of Anamosa where Grant Wood grew up, and also to Stone City where Grant Wood launched an arts festival. And of course, we took him to the Cedar Rapids Museum of Art which houses the largest Grant Wood Collection in the world. We also climbed the stairs to the tiny carriage house studio at 5 Turner Allley in Cedar Rapids, Iowa where Grant Wood lived for more than a decade in the early 1900’s – it was here that he painted American Gothic. Andrew loved seeing Grant Wood’s front door and the “Lilies of the Alley” which came to influence his composition. Andrew Earle Simpson is Red Cedar’s 2004-2006 composer-in-residence and is Associate Professor of Music at Catholic University in Washington D.C. The American Gothic Suite was recorded in King Chapel on the Cornell College campus. It is featured on the compact disc recording titled Fireflies: Chamber Music by Andrew Earle Simpson on the Fleur de Son Classics label. GRANT WOOD STUDIO: The tiny Grant Wood Studio at 5 Turner Alley, Cedar Rapids, IA, was the very special site of a concert preview attended by 20 lucky souls. GRANT WOOD HOUSE PARLOR CONCERT: Jim Hayes now owns the Iowa City home in which Grant Wood resided in the 1920’s. It is full of Grant Wood’s artistry, as seen in the architecture and furnishings. Red Cedar previewed the American Gothic Suite in a parlor concert in this historic home on Saturday night, May 21, 2005. A tour of the lovely historic home and refreshments were included. 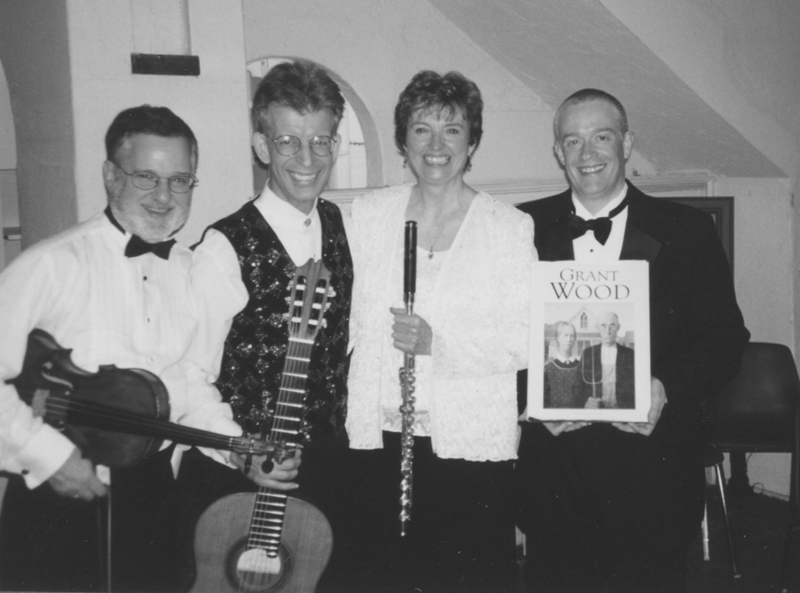 RURAL OUTREACH CONCERTS, 2005: Rural concerts are among Red Cedar Chamber Music’s most popular programs. (These rural concerts are frequently the musicians’ favorites!) The 5 Turner Alley project took us to three rural communities. • Ainsworth, IA at the Ainsworth Opera House on May 31, 2005. An exhibit of original Grant Wood art was mounted at the Opera House. • Delhi, IA at the Delhi United Methodist Church on June 1, 2005. • Stone City, IA at St. Joseph’s Church on June 2, 2005. A reception was followed at the Stone City Barn. Stone City was chosen by renowned artist Grant Wood and his colleagues as the site for the Stone City Artist Colony. This concert was presented in partnership with the Jones County Historic Preservation Commission. Grant News: The Iowa Arts Council announced Red Cedar Chamber Music’s project 5 Turner Alley a grant winner in the amount of $7,500. This project, sponsored by the children of Joan Lipsky in her honor, celebrates the opening of Grant Wood’s tiny studio where he painted American Gothic. 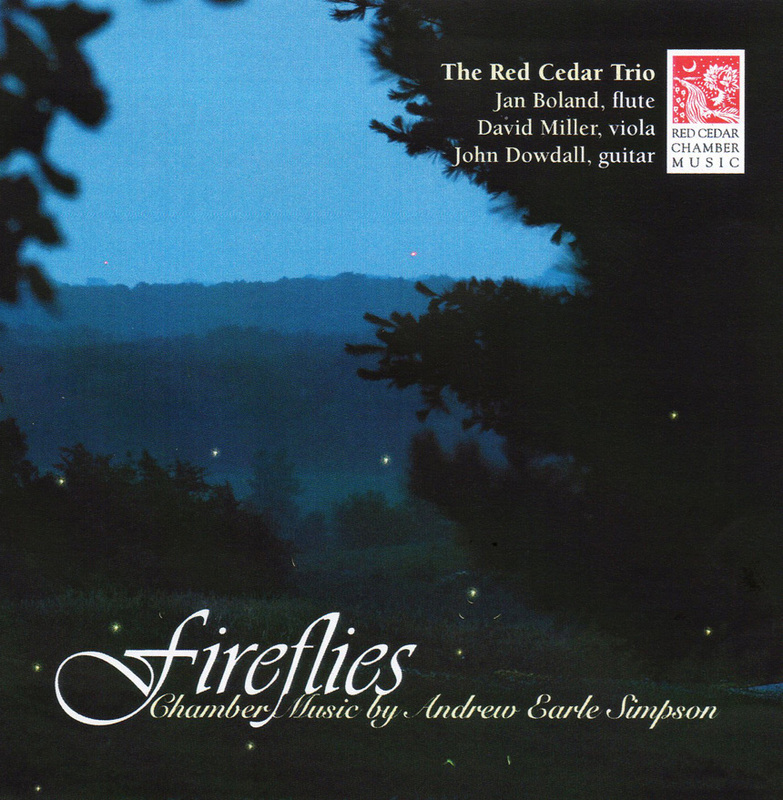 “I am new to the area and am astounded at the quality of the music I heard tonight, both the new composition and the ‘classical.’ What a treasure for Cedar Rapids and Eastern Iowa!” B.E. “Music-making of the highest artistic level. The sizable audience at the Cedar Rapids Museum of Art was spellbound by Red Cedar’s playing. Lovely programming tied in wonderfully with the historic event of the upcoming Grant Wood exhibition.” M.K. “Beautiful presentation. 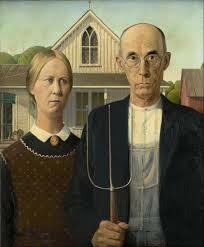 I wonder if Grant Wood would like the musical contribution to the art work as much as this audience does? I think so!” M.C. “I enjoy listening to you play and watching you grow into a vibrant musical voice in our community. Thanks too for all you do to bring music and beauty to so many people of all ages.” J.L. Capacity audiences filled the Grant Wood Gallery at the Cedar Rapids Museum of Art on June 4, 2005 to hear 5 Turner Alley. The concert celebrated artist Grant Wood and honored Joan Lipsky for her service to the Museum and to the community at large. Andrew Simpson’s new work, American Gothic Suite, had the listening audience exploring the relationship between the two figures in Grant Wood’s American Gothic painting –and anticipating the dentist’s drill of Dr. McKeeby! The evening’s reception was hosted by Julie & Bill Taylor who continued to serve wine and canapés as lingering guests were escorted to the narrow hallways of the museum’s basement during a late night tornado warning!